Supplier & Manufacturer of Bogie Hearth Furnace & Industrial Bogie Hearth Furnace. Our product range also comprises of Annealing Furnace, Fluid Bed Furnace and Chamber Furnace. Leveraging on our in-house production unit, we are presenting a wide assortment of Gas Fired Boogie Hearth Furnaces. 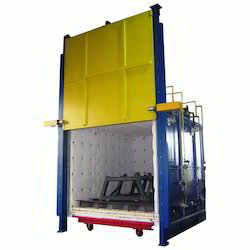 These furnaces are utilized in stress relieving, tempering, annealing and normalizing. Boogie hearth furnaces are provisioned for high temperatures with non-metallic heating elements such as silicon carbide, and super canthal. We manufacture superior quality Boogie Hearth Furnaces widely used for heating parts, which are too large to be handled on a continuous basis. 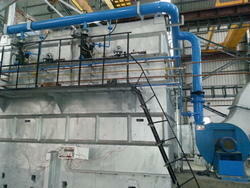 Bogie Hearth furnaces can also be used in heating large castings and fabrications. Furthermore, these durable industrial furnaces are utilized in stress relieving, tempering, annealing & normalizing. Boogie hearth industrial furnaces are provisioned for high temperatures with non-metallic heating elements like silicon carbide, super canthal etc.